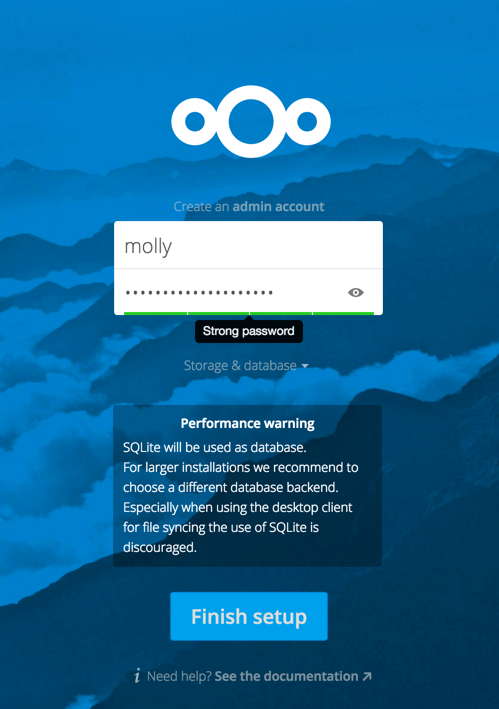 SQLite is the default database for Nextcloud Server and it is good only for testing and lightweight single-user setups without client synchronization. 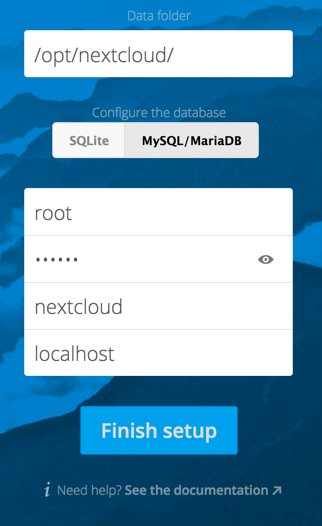 Supported databases are MySQL, MariaDB, Oracle 11g, and PostgreSQL, and we recommend MySQL/MariaDB. Your database and PHP connectors must be installed before you run the Installation Wizard. 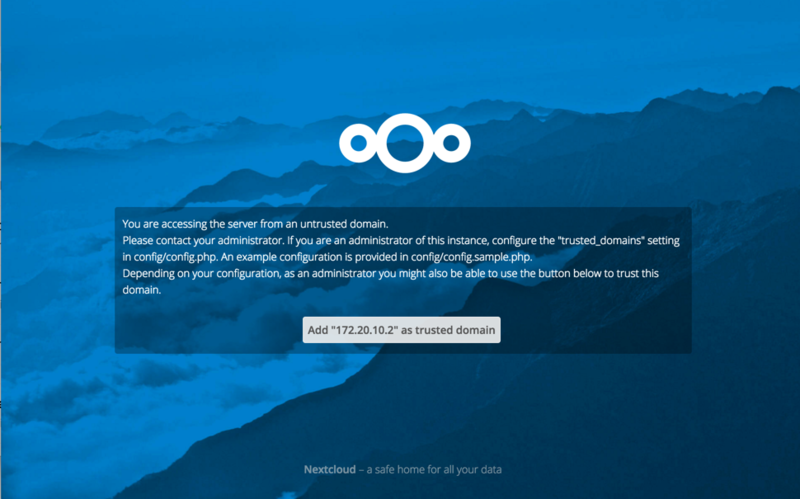 When you install Nextcloud from packages all the necessary dependencies will be satisfied (see Installation on Linux for a detailed listing of required and optional PHP modules). 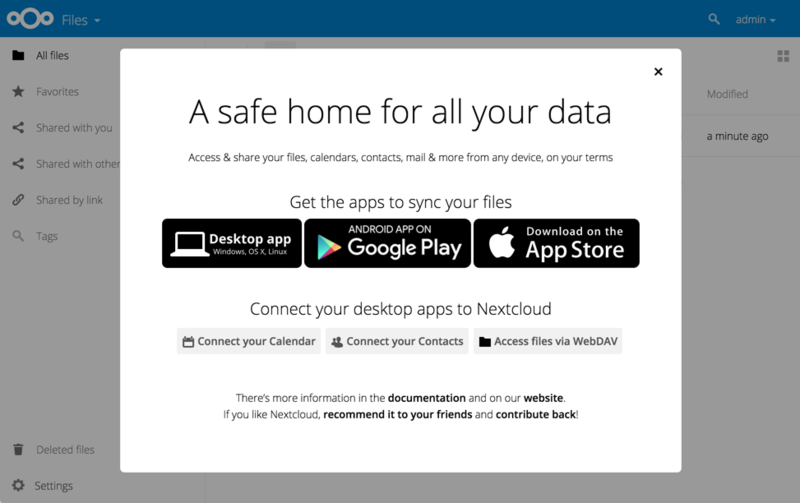 You will need the root database login, or any administrator login that has permissions to create and modify databases, and then enter any name you want for your Nextcloud database.